When does the CDSA get referrals for preemies? The Mecklenburg County CDSA has worked to establish a process with both major hospitals here in Charlotte so we can be available whenever families are ready to have us come out to meet them. Their staff know our criteria for referral and eligibility. When referrals are made, we proceed with enrollment at a pace that is comfortable for families. Often, this happens in the hospital before the baby is technically even supposed to be born! This allows us to establish a rapport and familiarize parents with our work and how we can support their families once they are discharged from the hospital. It’s not uncommon for us to do an Initial Visit in the NICU, and we sometimes are even able to write the Individualized Family Service Plan (IFSP) before the babies go home to be with their families. What happens when we go out for the first visit to meet with families? First visits with families that have preemies can look a variety of ways. Some babies are still in the NICU, some are already home, and some may have been readmitted to the hospital if they’ve had some kind of event that has caused some medical concern. Like any first meeting with a family, it’s important to engage and establish a rapport, as well as find out what the family already knows about their baby – they often know more than they realize, and this is a great way to help them see that they’re the experts here. We also need to be deliberate in discussing our philosophy because they’ve been immersed in a very medical environment – this is so very needed for these little ones, but once they go home, it’s all about supporting the family’s natural routines. Check out some Rules to Engagement: Families in the NICU to give you some more information about meeting families where they are and getting them started in early intervention. How do you address prematurity with families? While we want to be aware of a child’s actual age, we want to give babies credit for the fact that they aren’t supposed to be here so early. When we’re supporting children and families, we want to do so in the context of babies’ adjusted age, or the age they would have been if they were born full term (so if a baby was born at 26 weeks gestation, we would look at their development as a newborn when they are actually 4 months old!). Helping families with this perspective is important because it’s normal for parents to compare their babies to their other children or other babies they see, and we don’t want parents to feel discouraged with their child’s progress. Pediatricians and other specialists don’t always adjust for prematurity, so part of our role might be in balancing that information from an Early Intervention perspective. Even milestones, like first birthdays, can be challenging for families, and we want to be sensitive and supportive. What do you do if the baby is showing development typical for his age? Here in North Carolina, babies who are eligible based on an Established Condition, such as extreme prematurity, can stay in the program until they are 3 years old, even if they aren’t showing formal delays in their development. Some families may choose to exit once they feel more comfortable and confident, and others may stay enrolled longer. Fortunately, every routine has a next step, and regardless of what’s going on at the moment, we want to focus on priorities for the family. How do families manage all of the medical appointments and also work us in for our visits? Families are busy. There’s no doubt about it. When families are transitioning home from the NICU, though, they often have medical appointments a few times per week to make sure that things are still OK once they’re out of the hospital environment. The EI program may not be on their radar, especially if something happens and they have to go back to the hospital. It’s a good idea to check in with families between visits to see how things are going and help plan your visits. Some families have a good system in place to keep track of all of their appointments, and others might seem a little less organized. Be sure to ask if there’s anything you can do before providing resources to the family to help them keep track if that’s a priority for them. How does the team decide on supports for the family? This was such a great question! For starters, keep in mind that the parents are your most important team members, and services are put in place once the IFSP outcomes are established. After all, how do we support families without having direction from an outcome? Once you know the family’s routines and priorities, the team needs to be discussing the best professional to meet those needs. It could be a physical therapist or a speech therapist. It could even be a general developmental specialist – each family is going to be different, and the team needs to think about different providers’ perspectives to decide on the best fit. You may even have two parents who have different thoughts on next steps, and we need to keep in mind that we’re there to support the whole family. Parents may have different priorities and learning styles, and keeping those in mind is important to have the most impact as a team. What if a family wants to work with EI providers, but they also want to access clinic-based services? When families go through what they go through with their preemies in the hospital, it’s not uncommon for families to want to be as proactive as possible to help their babies overcome whatever challenges might lie ahead for them. 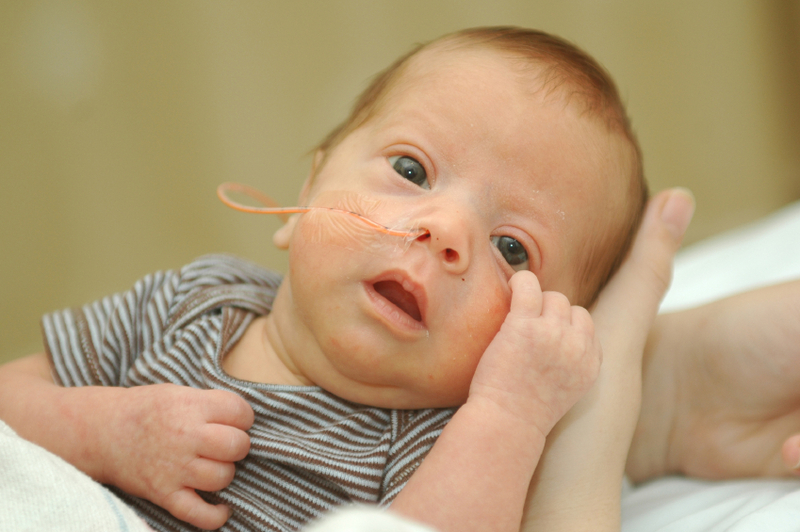 A baby could be in the NICU for months, and they seem so small for so long. Many parents are waiting for the other shoe to drop – they’ve made it to the other side of some major medical history, but they’re expecting something to happen around the next corner, too, because that’s a fear during those first months. Parents might feel bad if they aren’t doing everything they can and accessing every resource available – it’s not about us, it’s about their need to do what they gotta do for their babies. Fortunately, we can all play in the sandbox together – we want to see if the family wants to add those other therapists to the team, facilitate communication when needed so we don’t confuse families, and make sure that families understand the different philosophies behind early intervention and clinic-based supports. Families need a team, not competing specialists. The bottom line is that we’re talking about families here – this is about them and their lives and their journey so far, and we’re just a small part of that bigger picture. We’re there to support them, not to be one more thing for them to worry about. Take those moments to celebrate the little things with them. 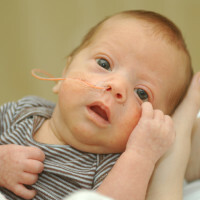 Families feel more confident when the people around them are confident, and this Q&A will hopefully provide some insight into the world of preemies and how to support their wonderful families. In case you haven’t noticed, we have yet again managed to fit so much amazing information into an hour-long event, and I didn’t even get it all in here – imagine how much more you can get out of it by seeing it in action! We have our next event coming up on June 18, 2014, and we’ll be talking about Siblings, Who Invited Them to the Party? Come out and get in on this great opportunity to enhance the wonderful things that you do to support children and families!